This mom is a genius! 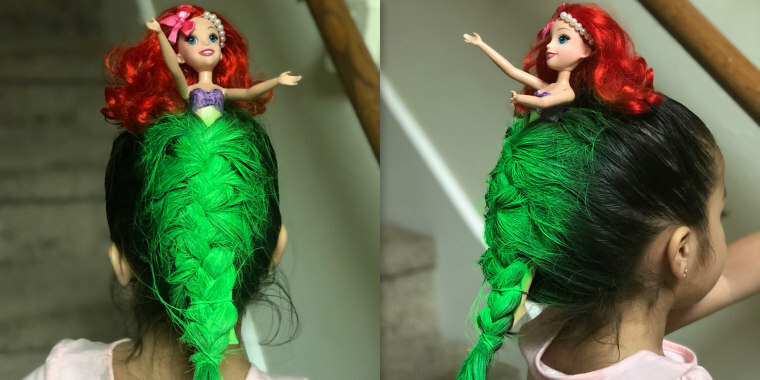 A mom created a “Little Mermaid”-themed hairstyle for her daughter and, well, it’s amazing. April Castillo, 34, dreamed up the amazing look for her 4-year-old daughter, Atlantis, for her school’s recent crazy hair day. Castillo, a cake decorator in Houston, Texas, got the idea from Pinterest, and the entire hairstyle only took her 20 minutes to create, she told TODAY Style. She sprayed green hairspray to create the "tail" and used her daughter’s Ariel doll to complete the look. From the front, the doll’s red hair just looked like a cute accessory. Castillo’s older daughter, Ariel Romero (yes, her name is Ariel!) posted the photos on Twitter, and her mom's incredible creation quickly went viral, racking up more than 748,000 likes and counting. Her post inspired others to share their kids’ craziest hairstyles, and the photos did not disappoint. One person shared this hilariously clever Coke bottle creation. 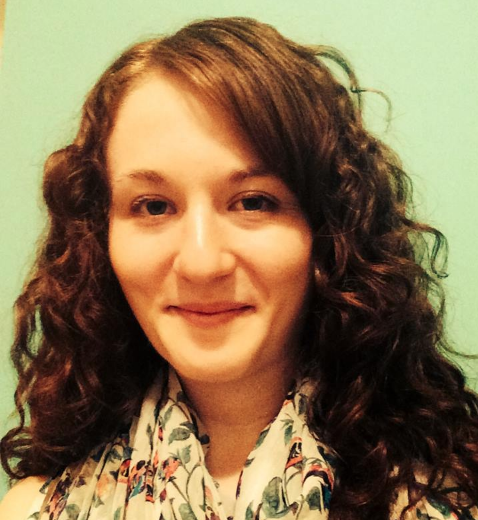 Others shared hairstyles inspired by rainbows and snowmen. One mom even shared a similar "Little Mermaid" hairstyle she created for her daughter three years ago, this time with a fishtail braid. Unsurprisingly, Romero said her little sister won her school’s crazy hair day contest, and Romero hopes there will be more epic hairstyles in her sister's future.